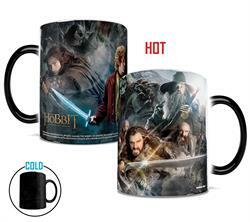 Bring the adventure of The Hobbit: An Unexpected Journey to every cup of hot coffee with this Morphing Mugs heat-sensitive mug. 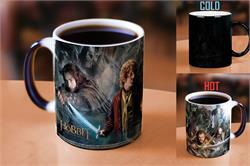 This collectible mug features a collage of Bilbo Baggins™, Thorin Oakenshield™, and other principal characters from the film. The exterior of this 11oz mug transforms from black as hot liquid is added, revealing the hidden image in full, vivid colors.